Verdi recitals get my attention. 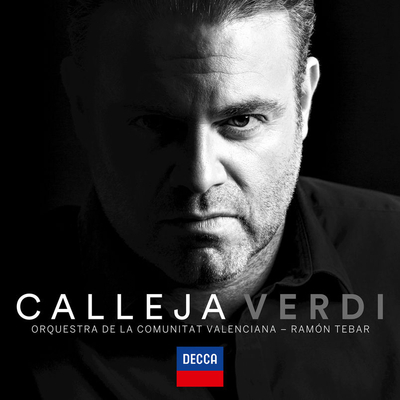 This week, we sampled two: The Verdi Album (Sony Classical 88985417982), from the Bulgarian soprano Sonya Yoncheva, and Calleja Verdi (Decca 483 1539), a showcase for the Maltese tenor Joseph Calleja. Yoncheva, 36, burst on the international scene not long ago as a last-minute replacement for the likes of Anna Netrebko and Kristine Opolais. Now she rules the roost in London, Paris, and New York in her own right. In her studio rendition of Leonora's incandescent opening scene from Il Trovatore ("Tacea la notte placida... Di tal amor"), all I hear is a classy lady with a light, unclouded sound that for the most part falls pleasantly on the ear. The incipient wobble (some will call it vibrato) is not to my liking, nor is the sharp edge on some high notes: technicalities. But where is so much as a whisper of personal involvement? From the dreamy, moonlit anticipation of the opening section through the manic jubilation at the close, a detached, bland sameness prevails. For the record, Yoncheva's partners in this endeavor are the Münchner Rundfunkorchestra and the conductor Massimo Zanetti. Full disclosure. My first brush with Calleja was a case of instant surrender. The year was 2006, the opera Rigoletto, the place the Metropolitan Opera. As that scoundrel the Duke in Rigoletto, Calleja bounced onstage like soccer royalty and simply owned the place. The velvet sound, blending a dusky glow with sunny sweetness, the disarming beauty of the Italian vowels, the frankness and immediacy of the text, the plangent phrasing, and yes, the fearless high notes—all these placed him among stars of a long-lost golden age. As it turns out, tenors like Tito Schipa and Alessandro Bonci were among the models he listened to growing up. He has learned their lesson well. Opera is an unforgiving art, and first impressions, the best of them especially, have been known to fade. For Calleja, time seems, in the best way, to be standing still. Broaching his new album, we stayed with Il Trovatore, again for brace of consecutive, contrasting arias, heard moments before what is sure to be a savage battle. In the rarely excerpted, melancholy "Ah! sì, ben mio," the troubadour-warrior Manrico sings of the extra courage wedded love gives him in the face of death. In the superfamiliar "Di quella pira," he goes charging into battle. From the first syllable, Calleja takes us to straight to the heart of the heart of Manrico's predicament, instantly establishing, then deepening the fateful mood. And then, the fireworks, supercharged with visionary terror, made to order for a standing ovation. The Orchestra de la Communitat Valenciana und Ramón Tebar provides energetic support. I'll mention in passing some grotesque but relevant video on YouTube. "Tacea la notte" superimposes Yoncheva's vapid vocals on what looks like a 16-page spread from Vogue come to life. "Di quella pira" finds an unshaven Calleja alone, dead center in the formal, unfurnished great hall of some palazzo in the Sicilian hills perhaps, dressing down the camera like the scariest Corleone you ever saw. And now, for something completely different: Arcangelo Corelli's Sonata in D minor, Op. 5, No. 12, commonly known as "La Folia," originally for violin, here in an arrangement for marimba, vibraphone, and strings by Karl Jenkins. The album is Mirage? 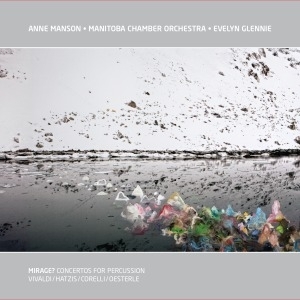 Concertos for Percussion (MCO 017002), from the Scottish phenomenon Evelyn Glennie, backed by the Manitoba Chamber Orchestra under the direction of Anne Manson. 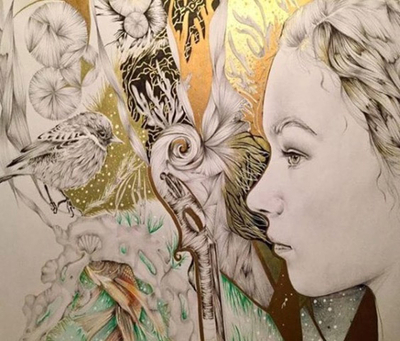 The title of the piece refers to an ancient theme composers over the centuries have swarmed to like moths to the flame, Corelli's variations numbering among the most enduring. Refracted through Glennie's prism, the music glitters and gleams and sparkles in a spectrum of fresh, unexpected colors. One more occasion to marvel at the profound auditory imagination of a musician who began to lose her hearing at the age of two and has been classified as profoundly deaf since the age of 12. On to Hillary Hahn: Retrospective (Deutsche Grammophon 479 8295), a two-CD compilation of the artist's favorite tracks. One of these—live, previously unreleased—is the contemporary German-British composer Max Richter's "Mercy," a static, rather earnest meditation, to which Hahn and the pianist Cory Smythe apply themselves for scant rewards. Hahn's closing selection for this anthology, as was ours, is the resplendent Adagio religioso movement from Henri Vieuxtemps' rarely heard Violin Concerto No. 4 in D minor, op. 31. I first heard Hahn play this music at Walt Disney Concert Hall, with the Los Angeles Philharmonic under Mirga Gražinytė-Tyla, the remarkable young Lithuanian who shortly thereafter took over as music director of the City of Birmingham Symphony Orchestra, once the sandbox of the wunderkind Simon Rattle. It struck me at that for technical prowess, imagination, poise, expressivity, gravitas, grace, and command of the stage, Hahn was second to no one I have heard play the violin in a half century and more of concert-going. Partnered by Paavo Järvi and the Deutsche Kammerphilharmonie Bremen, Hahn proclaims Vieuxtemps' stately gospel with measured, seraphic majesty. At the request of Paul Janes-Brown, under whose aegis we air "Catch of the Day," we closed with Calleja's rapt rendition of "Celeste Aida." An excellent choice. Once again, there's a video, this one not so scary.